Disney Jr Puppy Dog Pals the cutest puppies in town are coming to DVD, just in time for road trip season. Puppy Dog Pals is one of our favorite shows and you can always catch Valentina watching it as we get ready to go out the house. She loves joining brothers Bingo and Rolly on their fun puppy adventures that take place in their neighborhood and around the world. It's a fun and imaginative way that helps promote sibling love and the importance of friendship. 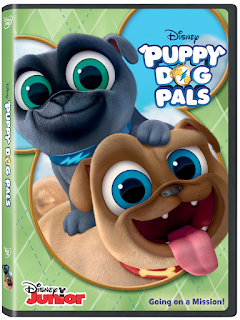 Now we get to celebrate that Puppy Dog Pals comes out on DVD today April 10th, just in time to take with us as we go on family adventures this Spring & Summer. They are cute, adorable and ready to have spectacular adventures. When Bob, the owner, is not nearby, the fun brothers Bingo and Rolly go off on journeys that take them from their back patio to amazing places around the world. With the help of their "older brother' Hissy, a neighborhood full of animal friends and inventions made by Bob, these funny heroes are always ready for amazing adventures that will make all little ones laugh with joy. Now for some fun news, one C'est La Vie reader will win a copy of Disney Jr Puppy Dog Pals DVD. 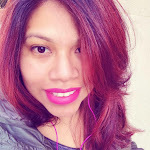 10 comments on "PUPPY DOG PALS COMING TO DVD & A GIVEAWAY"
I will be going nowhere. Is that considered fun? We're going on a roadtrip! We will be going hiking a lot. A road trip to Vegas.